Yes, it’s a post involving the great British weather! It’s fair to say, it’s been less than kind to us over the winter months, one day, we’re all knee deep in snow, next it’s like Planet Ice, then it thaws and everywhere becomes so wet and muddy it’s more like a swamp. 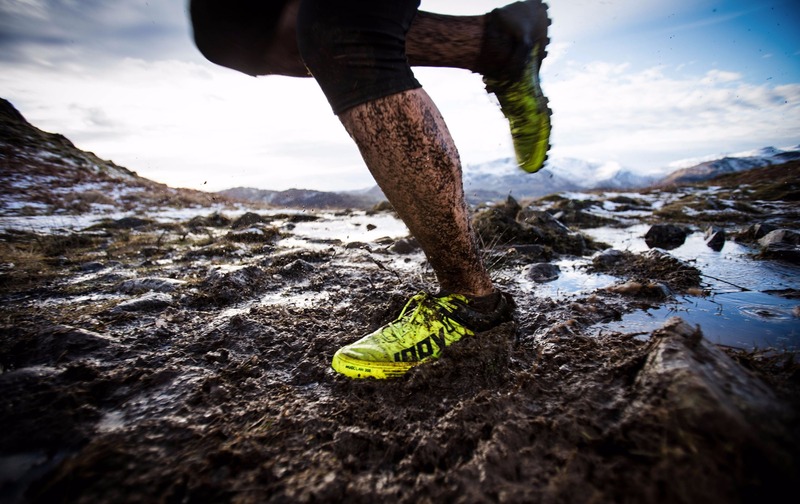 Running in mud can be exhilarating but has its risks! So what has this got to do with physiotherapy and sports therapy and the like? Well, I’m thinking of runners…those committed runners who brave every weather condition to keep their training programme on track. 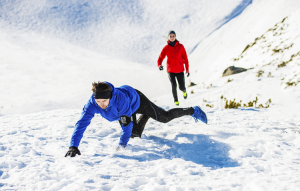 Then come the tweets about injuries from falling and slipping on the ice, pulled muscles, tendons and ligaments after running in mud and on slippery conditions. Some injuries are relatively minor, others I’ve seem reported are really quite serious but both put a stop to your training or hobby. So, is it really worth it and what can I, Little Miss Clever Clogs, suggest you do instead when ground conditions are bad? Well, perhaps first, we should look at the potential risk of running on certain ground conditions – and lets be clear here, I’m talking about horribly slippy never ending mud, paths under 4 inches of water, ground poached and frozen solid and the like. I’m not suggesting for a minute that you hang up your running shoes because of a little bit of mud/ice/snow etc. All can be minor but can easily become a major injury depending on how and where you fall. Either way, if you run for fun, your hobby is stopped, if you’re training towards a goal or event, the training programme is on hold and you need to get therapy! A good training programme should have some alternative training options to account for periods where running is not viable and also, other exercises that compliment your running should be included too. So where ground conditions are just too risky, what else can you do? You don’t have to crack out the box set of Midsomer Murders and cry into a Chinese Takeaway on the settee, there are plenty of other options which may help your running! 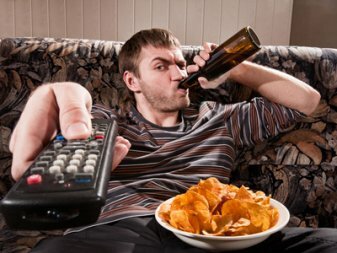 You don’t have to become a couch potato! Not my favourite by a long way but the most obvious option – run on a treadmill instead at your local gym. Choose routes that are pavement/road based where tracks are muddy. Do an exercise class – there are loads to choose from at your local gym or leisure centre so see what class might compliment your running training and give it a go! Pilates – This is great for developing your core strength and improving your suppleness and mobility which can improve gait and efficiency and performance! Hurrah! Yoga – if you run as a stress relief, try a yoga class which focuses on breathing, relaxation and mindfulness-sounds fab doesn’t it? Walking – yep! If it’s too soggy to run and you prefer being outdoors rather than breathing in other peoples sweat at the gym (yak! ), just walk! A good paced walk in sensible walking boots (not pink flowery wellies, please!) is great for mind and body. Take your dog with you if you have one (keep Dial-a-Dog Wash on speed dial though). 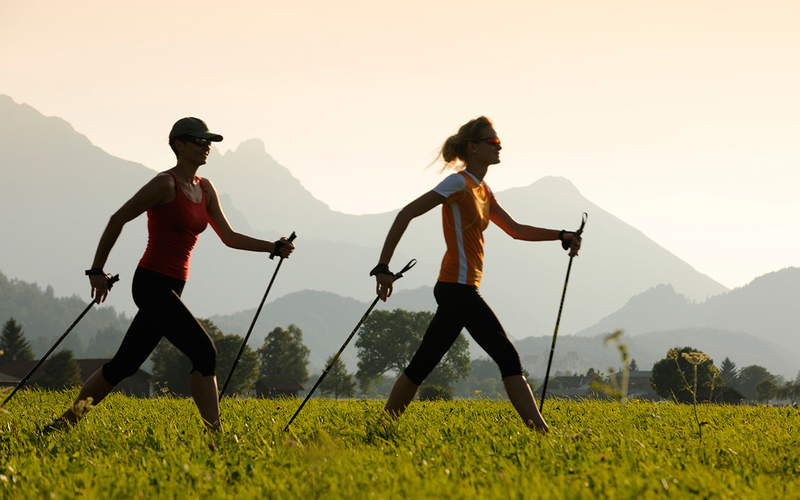 Nordic walking – this is a great all over body workout and you’ll be surprised just how much quicker you can walk with two poles – poles can be bought reasonably cheaply at most outdoors shops. The poles are great for steadying you on really bad going too. ( NOTE: Don’t try Nordic walking with your dogs as they conspire against you to tie the leads around your poles and trip you over leading to injuries mentioned above…). There are proper Nordic Walking groups you can go to but you can pick it up yourself relatively easily. If I still haven’t convinced you to take care on rough ground, here’s the real sting I’ve kept until last – remember injuries are painful, some are really painful! Injuries cost money – more serious injuries can result in time off work and you’ll need a good sports therapist to help you back to fitness ASAP too. Where there has been an injury – is that part more vulnerable to injury in the future and is it ever as strong…? Injuries happen all the time, sometimes we don’t even know why! But we can lessen the chance of injury by developing ourselves to be fit for our sport, following a good, progressive training plan, sensible nutrition and not taking any unnecessary risks.